The Legally Lean™ Expert Advisory Team are some of the best in the food, fitness, medical, sports training, physical therapy & coaching fields. They have contributed to the Legally Lean™ book, Certification programming, Meal Delivery & High School education programs & are available for consultation, communications and coaching at their respective offices, facilities and athletic fields. A Doctor of Physical Therapy (DPT), he is a leader in the sports training and healthcare field as a Certified Strength and Conditioning Specialist (CSCS) and United States Weightlifting Performance Coach (USAW). Chris completed his Doctorate in Physical Therapy at the University of Miami in 2007, graduating with honors. Chris is a member of the US Olympic Sailing Performance Enhancement Team (PET) as the Medical Coordinator acting as head physical therapist and strength and conditioning coach. He works with the US Sailing management and staff to coordinate all medical coverage within US and internationally to support the athletes with doctors, therapists, Chiropractors, and nutritional demands. Chris has been working with US Sailing for over 6 years and was a member of the 2012 US Sailing Team and Untied States Olympic Committee (USOC) Medical team that traveled and worked with the athletes at the 2012 London Olympics. Chris has worked with professional football, baseball, martial arts, and basketball athletes through Bommarito Performance Systems (BPS) for the past 3 years. Jaguar Therapeutics has treated over 100 NFL players, 150 College Football players, and 30 MLB players. A Certified Strength and Conditioning Specialist, Irik received his Master’s degree in Exercise Science with a Concentration in Human Performance while coaching football at Ithaca College. 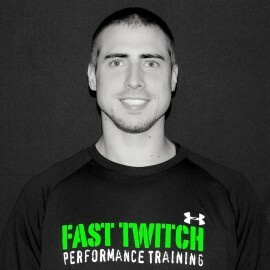 At Fast Twitch Performance Training, Irik oversees all training and works directly with the training staff to expand their knowledge, skills and abilities. Irik worked with a variety of pro-level athletes as well as many high school programs in the South Florida region. Coach Ward has 40 years of personal running experience and over 25 years of coaching experience. Certified as a USA Track & Field Level II Coach, Mike spent 16 years at the University of Miami, 11 years as the Head Coach. At the University of Miami, Ward’s athletes rewrote the record book in all running events. Coach Ward coached Davian Clarke, a three time Olympian for Jamaica, to the 400m NCAA National Championship. In 1998, Ward’s first year as Head Coach, he was named Big East Coach of the Year. In the 800m, Ward coached Ronalde Thorne to 1:46.66 in two years at the Univ. of Miami. Thorne was an All-American and named Big East Track Athlete of the Year. Tim Harris, 2008 US Olympic Trials runner, ran 1:47.10 in the 800m winning six ACC 800m championships and becoming a 5 time All-American. In the short sprints, Ward coached up to 20 football players currently playing in the NFL, which include the likes of Santana Moss, Ed Reed, Clinton Portis, Reggie Wayne, and Andre Johnson. 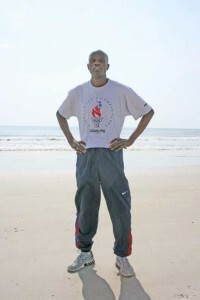 Coach Ward was also instrumental in the development of two athletes making the US Olympic Trials in the marathon. Melanie Peters in 2008 (2:45 @ Tampa) & Nick Gramsky (2:21 @ Chicago) in 2004. A passion for fitness, nutrition, & living a healthy lifestyle, Mandy believes both healthy eating + exercise are key to reaching an optimal physique. A graduate of Johnson & Wales University with a Bachelor’s Degree in Culinary Nutrition, Mandy attained a National Council on Strength & Fitness (NCSF) Personal Training Certification & coaches SweatShop Gym in Coral Gables, Florida. She is also a registered dietetic technician (DTR). A Junior Olympics competitor & runner since 6 years old, Christie embraces the power of food for performance. As an oncology nurse, she also appreciates the impact of exercise for stress relief. Christie studied Clinical Nutrition at the University of Miami & will start a Master’s in Human Nutrition and Functional Medicine at the University of Western States in ’14. With certifications in CPR, Spinning & NFHS Level 1 coach; chemotherapy & biotherapy, Christie saves lives in & out of the clinical setting. A vegetarian & foodie at heart, she created the Fit Life menus for the South Florida go-to restaurant Deli Lane. Logan Rex is the head Athletic Trainer at Sports Leadership and Management Academy in Little Havana, Florida. What began as an interest in Sports Medicine quickly evolved into a lifelong pursuit of excellence in an ever growing field. Logan went to the prestigious San Francisco State University which led her to South Florida in which she attained a Master’s of Science at Florida International University. Ever the academic, Ms. Rex is also a Certified Emergency Medical Technician and is currently a College Professor at St. Thomas University. A preceptor for the Athletic Training Program at Florida International University, Logan Rex has had the opportunity to work with Major League Baseball players, Semi-Professional Athletes, and D1 Collegiate Athletes. From extreme sports to instructing children on how to swim Logan Rex’s background is as diverse and eclectic as one could ever hope for, which have all led her to her current roles and achievements. With over 30 years of experience teaching young individuals the importance of creating & maintaining a healthy lifestyle, Ms. Schiffman currently teaches personal fitness @ Dr. Michael M. Krop Senior High School, North Miami Beach Florida along with a dual enrollment program through Florida International University. 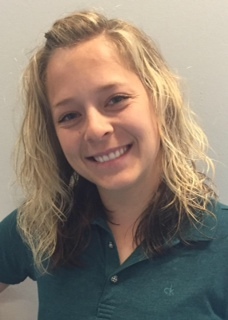 Previously, has taught both middle and high school students and has acted as Department Head of Physical Education at Nautilus Middle School. Affectionately known as Coach “Schiffy” by her students, Ms. Schiffman teaches health, team sports, personal fitness, aerobics, conditioning and weight training, as well as coaches varsity x-country. She has also has coached both girls varsity bowling, softball and girls & boys volleyball (at both the middle and high school levels) & was named “Middle School Teacher of the Year” twice at Nautilus Middle School. Coach Schiffy doesn’t stop there. Her family has risen over $5,000.00 for the Livestrong Foundation, as well as helping to establish the Morris Stein Foundation for gun safety & animal protection. Other charitable work includes Special Olympics, Ronald McDonald House, Humane Society, Jump Rope for Heart, MADD, SADD, Breast Cancer, & Kids in Distress. Born and raised in Brazil, Ludmilla F. Marzano brings an international taste to the athletic and dietetics world in Miami, FL. Her passion and love for healthy foods and cooking has inspired her to pursue a professional bachelor degree in nutrition/dietetics and Sports and Fitness at Florida International University (FIU). Prior to FIU, Ludmilla studied nutrition at Unip-Universidade Paulista in Brazil, and dance/dietetics at Miami Dade College. For more than 26 years, her love for physical activity and sports is not limited to dance (ballet, jazz, modern, and contemporary, ballroom dances such as salsa, bachata, merengue, gafieira and zumba), Ludmilla has also taught boot camp, circuit training, and abdominal and gluteus class. She became certified as a personal trainer in the beginning of 2008, and pursues her career ever since. In the beginning of 2010 Ludmilla found the way to exposure her talent and all her dancing skills through Zumba Fitness. In 2011 Ludmilla became an International Zumba Master Training and Presenter. She is now leaving her dream travelling the world teaching and dancing. She has had participation in some of the Zumba Fitness DVDs, she has worked as a choreography Director in the Zin DVDs and has written choreography Notes for the Zumba Video Games, volumes 1,2 and 3. Ludmilla believes that exercise and healthy eating leads to Rejuvenation, Inspiration, Pleasure, Peace and Love. She dances to inspire and she always puts 100% of energy and passion in what she does. Disclaimer: The programs, products, books, referrals, resources, supplements, specials, sponsors, Training Tables, training tips, community forum topics and dietary advice that you receive at this website is not intended to replace medical advice or be a substitute for medical or other professional advice or information for you, your diet or health. Before starting any lifestyle change program, it is your responsibility to consult your personal physician. If you are taking a prescription medication, you should also consult your physician before changing your diet, exercise and/or eating behaviors. Do not take any supplements, foods or shakes without permission from your doctor, parents, coaches and personal medical team.